Welcome to Friends of Felines! Friend of Felines has just been accepted into Bissell's Partners for Pets program. 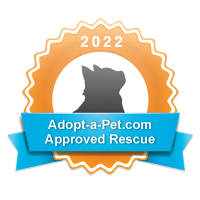 With Partners for Pets, when you purchase any pet product on bissell.com, a portion of your purchase will be donated through the BISSELL Pet Foundation to Friends of Felines. Is your pet missing? Have you found an animal and want to reunite them with their owner? Check out Lost Pet U.S.A.
Friends of Felines is grateful to the Petco Foundation for its recent generous grant of $7,500 that will be used for spay/neuter and veterinary care of our foster cats and kittens. The Petco Foundation's mission is to raise the quality of life for pets and people who love and need them. The Petco Foundation is a 501(c)(3) non-profit corporation that supports other IRS-designated non-profit pet related groups as well as municipal/governmental agencies and educational institutions involved in animal causes. Donate your car, boat, truck, RV, Jet Ski or snowmobile to Friends of Felines and receive a tax deduction. This no cost, no hassle process begins when you contact our fundraising partner, Donation Line LLC at 877-227-7487. Make sure to ask for our extension, 2745. You can also help by donating a Kuranda bed and giving one of our fosters a comfy place to sleep at night until he / she finds their new forever home.